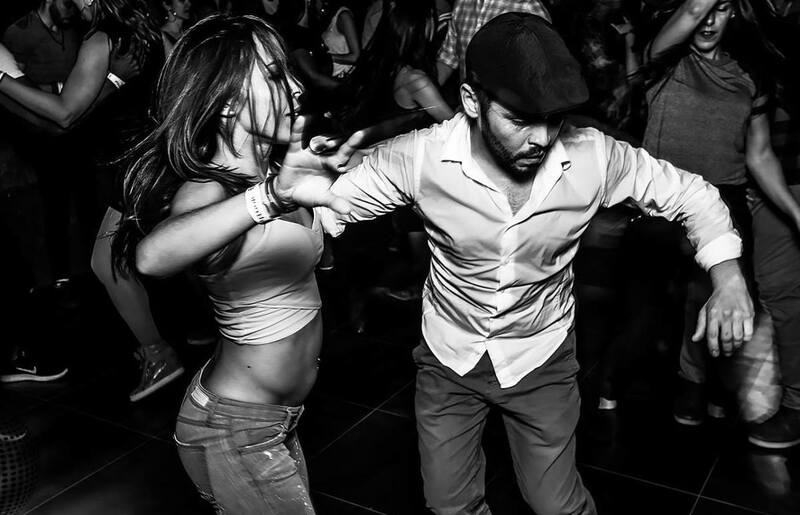 Anya Brodech is a professional salsa, ballroom, and latin dance teacher and choreographer in Oakland. She loves spreading the joy of dance. Partner dancing, whether it be salsa, swing, or ballroom dancing, is a physical activity and should be treated as such. For men, your shoes and clothing are going to be the same across these different dance styles when it comes to attending private dance lessons and group classes. It's important to wear lightweight clothing that is comfortable and breathes, so you can easily move and dance around in it without getting too hot. Regarding shoes, it's best to wear shoes that allow you to slide around easily and securely attach to your foot so they don't come off when you're dancing. Have you taken a dance lesson/class before? You want to avoid wearing heavy, warm clothes because you'll get really hot in them when you dance. I suggest layering your clothes so this way you can take them on and off as you warm up and cool down during class. You can wear a light sweater that is easy to remove if you are dancing in the winter. Depending on the time of year and how easily you get hot, you can wear shorts to your private dance lesson or group class, because the main purpose is to learn and practice. 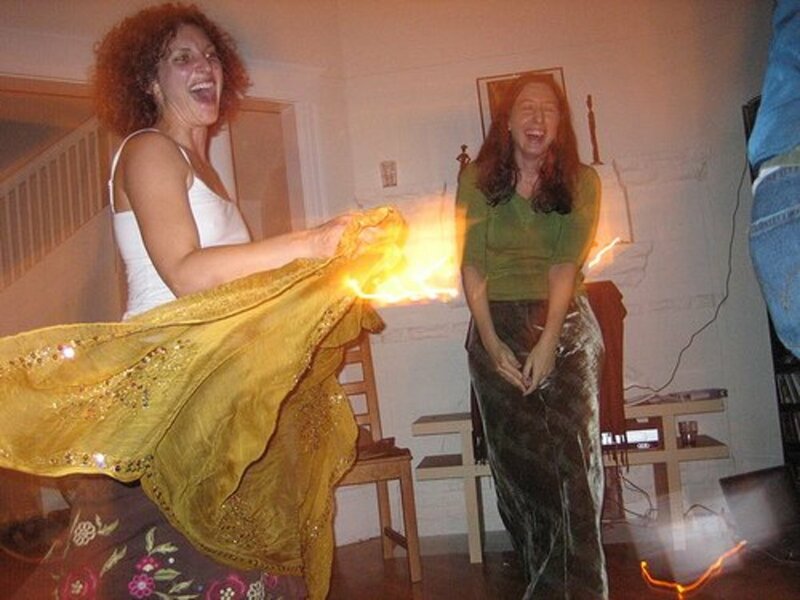 However, if you are going out to a salsa club at night, you should wear long pants. Long sleeve button down shirts are always a safe choice for dance lessons, and if you get hot/warm, you can roll up the sleeves a bit and still look stylish. You don't need to wear a suit and tie for class, because that's too formal, plus you'll get hot wearing a jacket. If you want to be fancy, you can wear a tie, but clip it so it doesn't fly around while you dance. Some men like to wear a vest over a long sleeved dress shirt if they want to look more formal, but it's not necessary, and the extra layer might make you hot. Generally, it's better for men not to wear any kind of hats to private dance lessons or group classes because you can accidentally knock it off of your head when you raise your arm to twirl your partner. 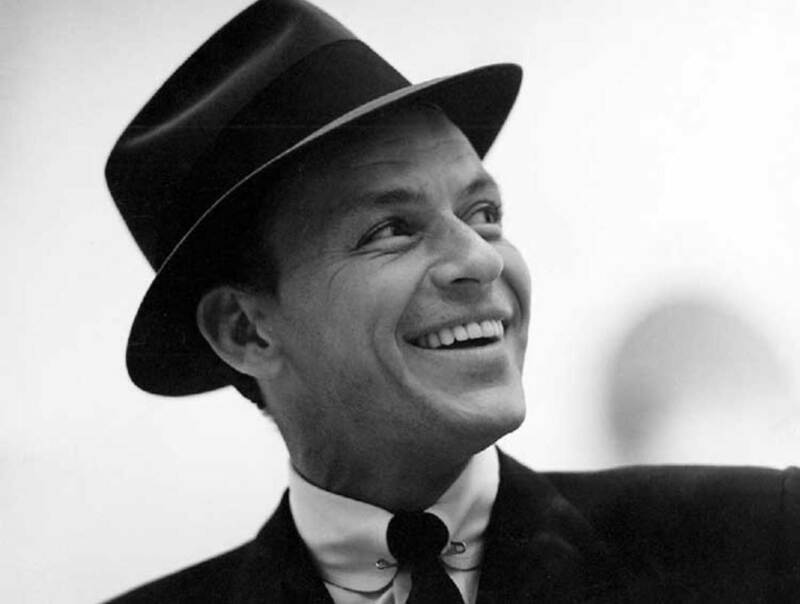 However, if you really want to wear a hat, I suggest wearing one with a small/narrow brim such as a fedora/cuban hat or a newspaper boy hat. 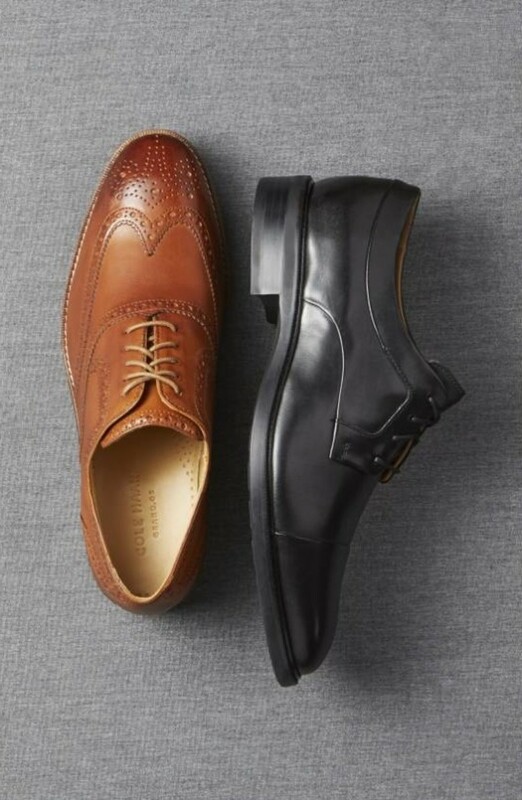 If you want to wear dress shoes, choose ones with a round/almond-shaped toe, with a thin sole, that lace up so you can move around easily without your shoes falling off your feet or being too bulky and getting in the way. What Shoes Men Should Wear? Men should wear flat shoes with a smooth bottom for private dance lessons and group classes. The reason why is because shoes with a smooth bottom make it easy for you to move around when you're dancing, and won't stick to the floor and give you problems with your feet or ankles. Most men find it easiest to dance in dress shoes with a small rounded toe and which lace up. Dress shoes with big boxy square toes are kind of clunky and inconvenient for dancing. Slip on shoes can slide off when you're dancing around, so those aren't good either. 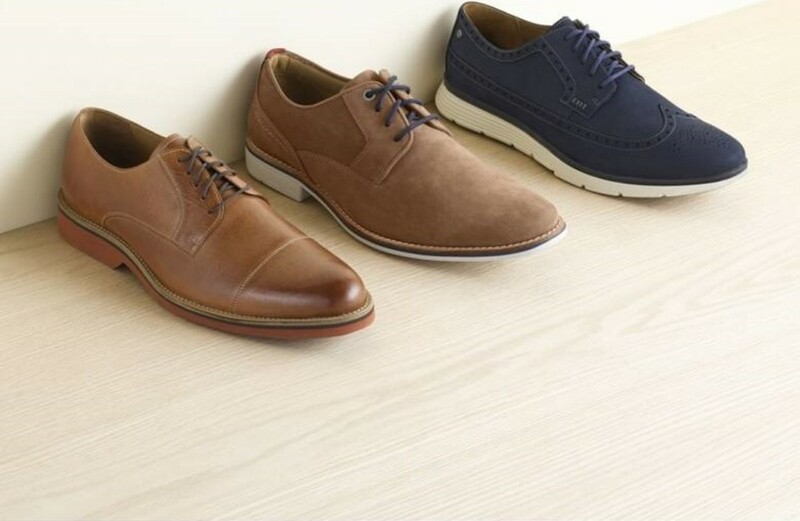 If you don't own dress shoes, you can also wear casual shoes, such as sneakers or tennis shoes that have a flat rubber bottom, without any bumps or ridges. You can wear casual or dress shoes to dance lessons. At the beginning, you can wear your street shoes or dress shoes. However, over time, as your dancing improves, you may want to consider getting a pair of men's latin/ballroom dance shoes or dance sneakers because they are more flexible than regular street shoes and make it easier to execute complicated steps and patterns. Latin shoes are on the dressier side, perfect if you're going out at night, whereas dance sneakers are more casual. Personally, I recommend all of my male students to buy the "Salsette 1 Jazz Sneaker" by Sansha because it looks like a regular shoe so they can wear it with jeans, gives them a lot of comfort and support, and most importantly is light-weight and flexible. The problem with most men's shoes is that they are very stiff and heavy, which makes it difficult to do anything that requires you to step just onto the ball of your foot while keeping your heel up. For instance, in the back-spot turn, you need to hook your right foot behind your left and step only onto the ball of your foot or else your weight will drop back and your dancing will be wobbly and even. And then of course if you want to learn how to do salsa shines, you need flexible shoes to be agile enough for those quick-changing patterns. 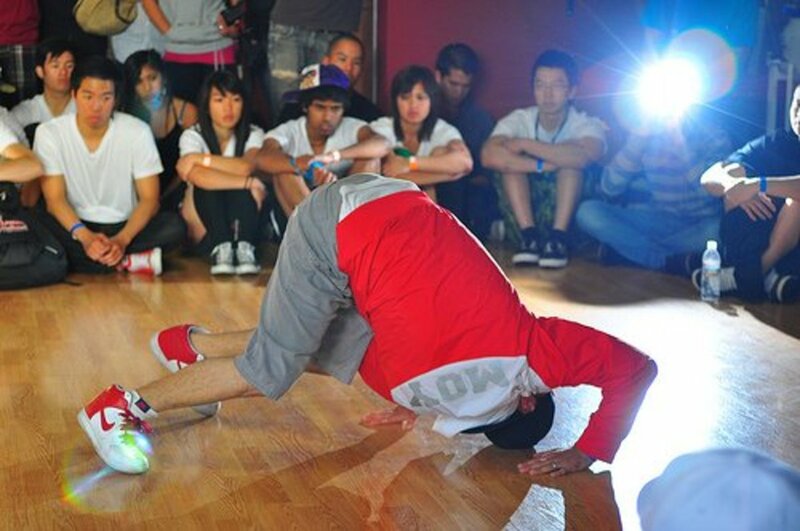 All of my male students who have had tried to learn any of these moves always end up buying these shoes and saying how much easier it has made their dancing because it's easier to flex and point their feet and move around quickly with the music because the shoes are so light-weight. I also recommend buying Latin/Ballroom dance shoes if you looking for something a little bit more formal that you can wear to dance class and the club. My students particularly enjoy the black/white spectator style of shoe because it's stylish and a little bit more formal, but can dressed up or down depedning on what you're wearing. The suede sole also makes it easier to spin and move around when you're dancing, especially as you progressive into more advanced patterns and works for a variety of dance styles. 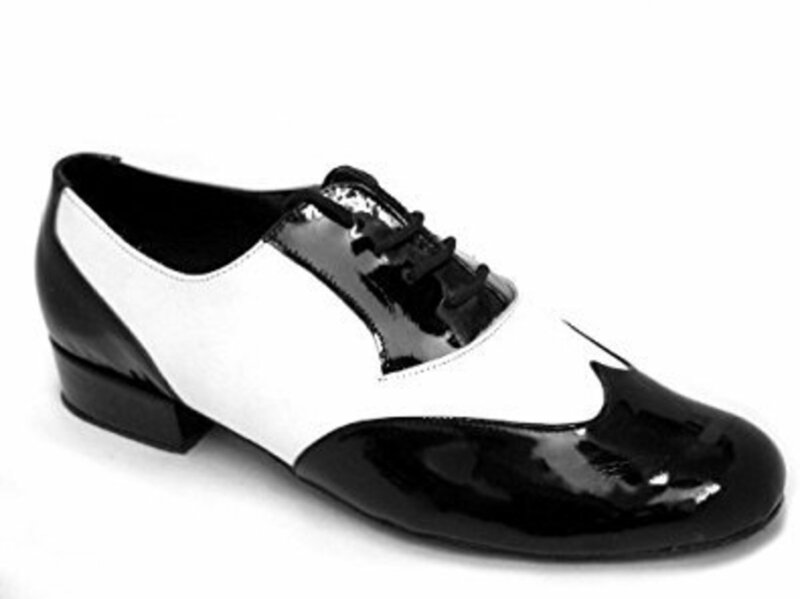 Black and white specator shoes with a low flat heel and suede bottoms are a popular choice of dance shoe for men. Do not wear flip flops or sandals if you are a man! Even if it's really hot, don't wear sandals! The only time you can be wearing sandals or flip flops is if you're at a dance event on the beach. So in the summer, if you don't want to hassle with dress shoes because your feet get hot, then wear lightweight tennis shoes with shorts. Also, you should not wear boots because they're too heavy and can make it difficult to move. And in case you accidentally step on your partner's feet while dancing, it can do some serious damage, especially if you wear your heavy work boots! I suggest keeping a pair of extra shoes in your car if you are going to dance class straight from work so you can change into them when you get to the studio and don't have to worry about forgetting them at home. Finally, avoid wearing shoes with a black rubber bottom because that can mark up the studio floors when you dance in them. How Formal or Casual Should You Dress? 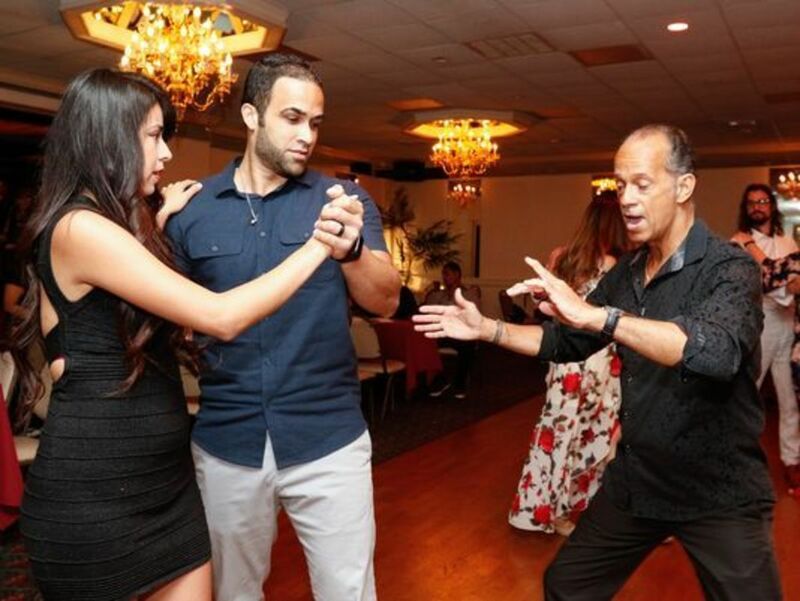 It is up to you how formal or casual you want to dress for your private dance lesson or group class. If you are going to be in the dance studio just for class or a lesson, you don't have to worry about dressing up, because you're not really "going out." I have a lot of men who come to me for private dance lessons. Usually, my students wear jeans and a t-shirt, or jeans and a long sleeve button up shirt. During the summer when it's hot outside, some of my students come in wearing shorts and a t-shirt. I don't have a dress code for my students, I just tell them to wear whatever makes it easier for them to dance in because the point of lessons is to practice your dancing. Dancing is a lot of fun, so just make sure that you are dressed comfortably in clothes and shoes that let you move around easily and don't interfere with your dancing. For more information, check out my other articles on how to get ready to go out dancing. Do you feel more comfortable now about what to wear to your dance lesson/class?